Sweaty, uncomfortable and hot – is this how you describe your sleep every night? When air conditioning units are not enough to keep you cool and comfy, cooling mattress pads might just do the trick for you. 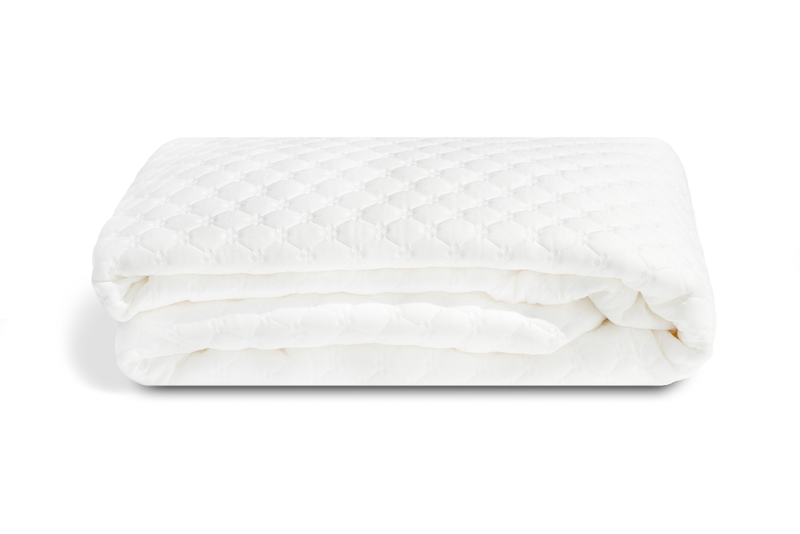 If you are interested in looking for the best cooling mattress pad, here are some options worthy of your consideration. 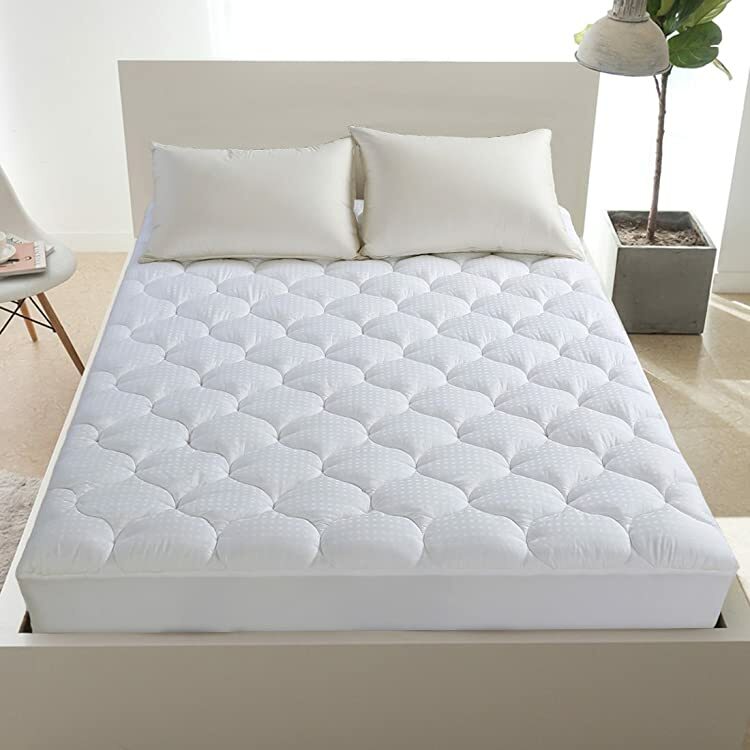 Economy and quality – you are getting the best of both worlds in this flagship mattress topper from ExceptionalSheets. If you are looking for a cooling mattress pad that offers comfort without emptying your pocket, this might be the best option for you. The Overfilled Fitted Mattress Pad Cover(8-21’Deep Pocket)-Cooling Mattress Topper with Snow Down Alternative Fill from Leisure Town, offers a breathable and ultrasoft mattress pad that will help you fall into a deep sleep. If you are the type of customer with a limited budget but still doesn’t want to compromise on quality, you may want to consider this budget-friendly option. Zen Bamboo Ultra Soft Bamboo Derived Rayon Mattress Topper promises to get rid of sleepless nights without a hefty price tag. Are you the type of customer that cares only about the quality and price is not an issue? If yes, then this option might be best for you. Bamboo Mattress Pad with Fitted Skirt – Extra Plush Cooling Topper is a luxurious option for a cooling mattress pad that offers the best sleeping experience. If you haven’t selected your pick from the previous options, this product could be the one for you. The Mattress Pad Cover Twin Size Pillow Top 300TC Down Alternative Mattress Topper with 8-21-Inch Deep Pocket is another quality product that will help you bring your sleeping experience to a whole new level. 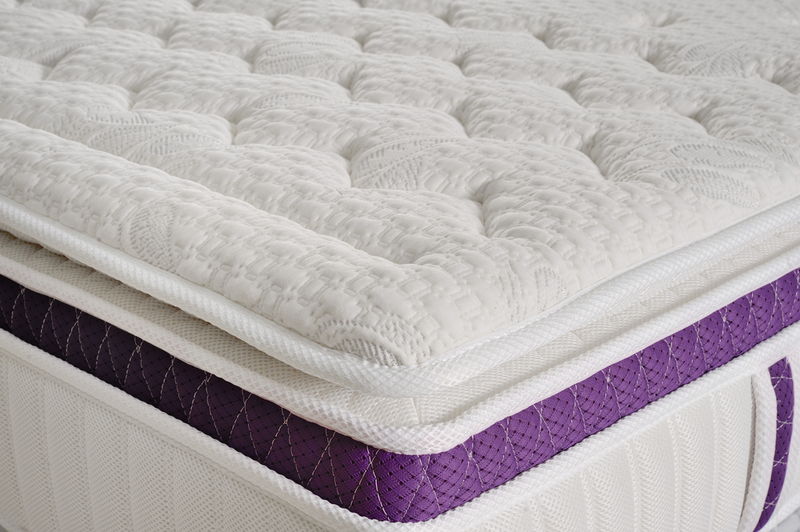 Economy and quality – you are getting the best of both worlds in this flagship mattress topper from ExceptionalSheets. If you are looking for a cooling mattress pad that offers comfort without emptying your pocket, this might be the best option for you. It uses thread 160 counts PolySoft cover that is stain and moisture resistant. Hence, it is both a safe and low-maintenance product. 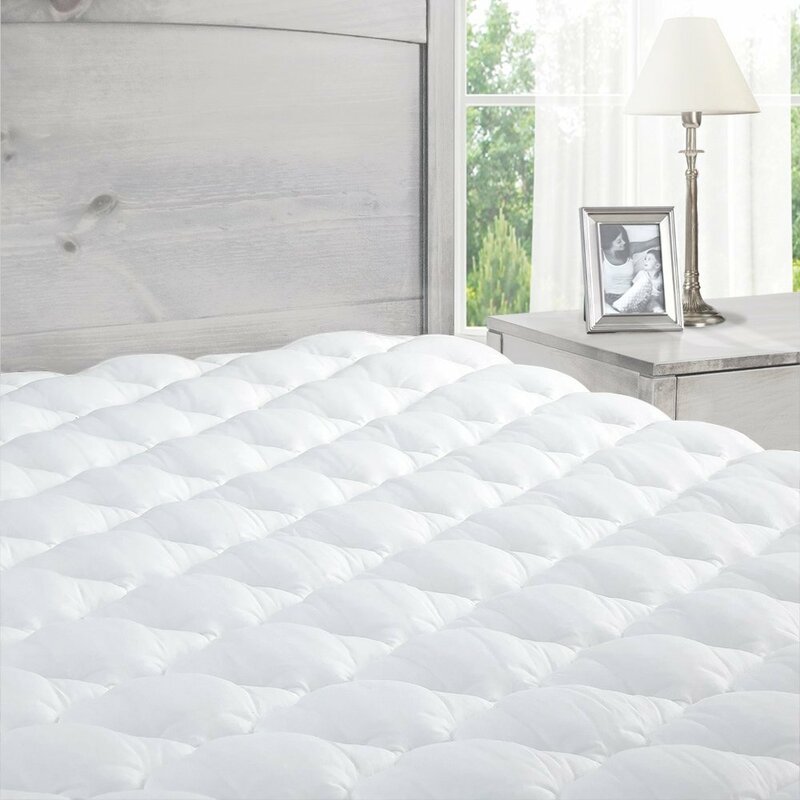 With a perfect combination of polyester and cotton, this Mattress Pad could be your ideal choice for breathability and durability. Filled with 25 oz of Revoloft per square yard, a good night sleep and a pleasant morning is within reach. With all these features, it is hard to deny that the Pillowtop Mattress Pad with Fitted Skirt is one, if not the best products in the market worthy of your buck. If the editor’s pick does not fit your needs, you might want to consider this equally beneficial product. 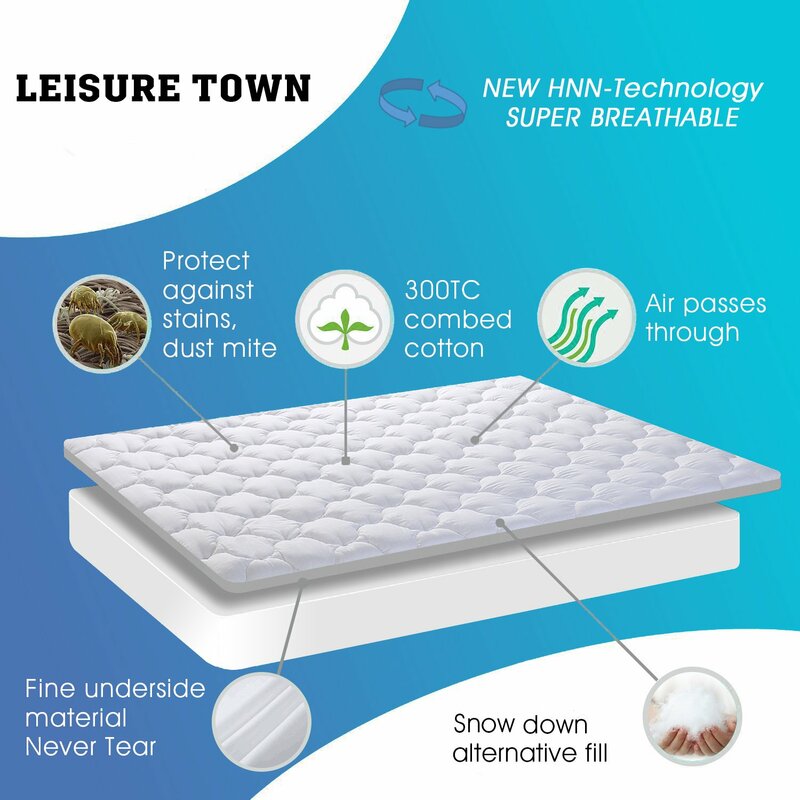 The Overfilled Fitted Mattress Pad Cover(8-21’Deep Pocket)-Cooling Mattress Topper with Snow Down Alternative Fill from Leisure Town, offers a breathable and ultrasoft mattress pad that will help you fall into a deep sleep. Made of 300TC 100% cotton, it is quilted in a nonconventional way making it more supportive and comfortable. Up to certain extent, it is also waterproof. Hence, drinks or water accidentally spilled on the mattress will not be absorbed easily. In addition, it is full of materials that will give you the feel of authentic goose and duck feathers without the allergies and irritation. Finally, taking care of this one-of-a-kind product is simple and easy since it is machine washable. Did I mention that it offers 100% satisfaction and money back guarantee as well? If you are the type of customer with a limited budget but still doesn’t want to compromise on quality, you may want to consider this budget-friendly option. Zen Bamboo Ultra Soft Bamboo Derived Rayon Mattress Topper promises to get rid of sleepless nights without a hefty price tag. Made of durable materials, it can last long just like other premium brands. To keep the filling in place, this cooling mattress pad is stitched with double-needle baffle box style. For maximum cooling effect, it uses a blend of natural bamboo and soft microfiber. As a result, heat is not trapped between your body and the mattress keeping you cool while you’re enjoying your much-deserved rest. Speaking of filling, it uses hypoallergenic fibers that make its surface soft and cottony. The best part about this mattress pad is you can return the product within 30 days if you are not satisfied with its performance. Being one of the cheapest options in the market, this is indeed a great bargain. Are you the type of customer that cares only about the quality and price is not an issue? If yes, then this option might be best for you. 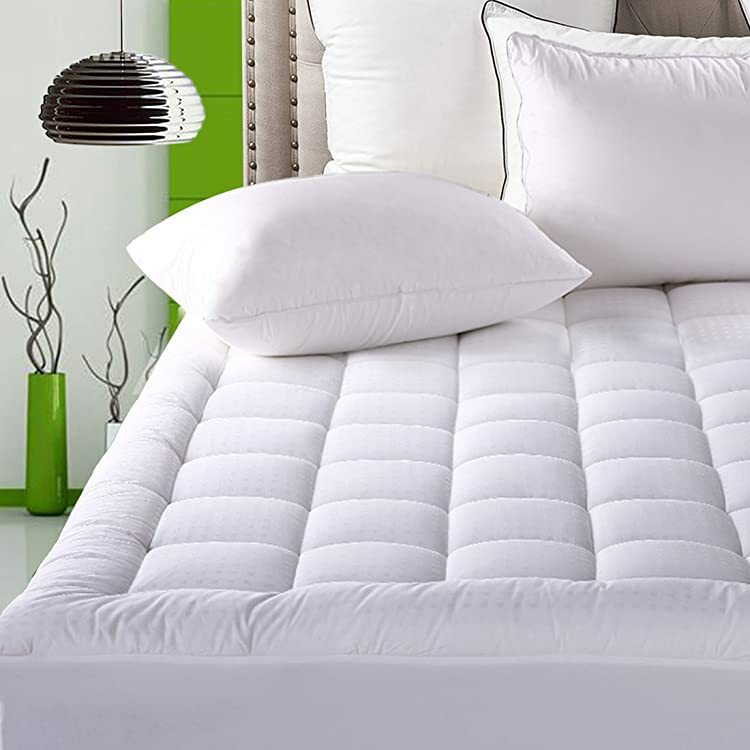 Bamboo Mattress Pad with Fitted Skirt – Extra Plush Cooling Topper is a luxurious option for a cooling mattress pad that offers the best sleeping experience. For starters, it is made of flame retardant materials certified by the Consumer Product Safety Commission 16 CFR Part 1632. With the right proportions of Plush Rayon from Bamboo and Revoloft cluster fiber, you are guaranteed to sleep on clouds with the level of comfort that other product cannot ensure. These materials are 100% hypoallergenic and are sure to stay in place with its 160 count double needle baffle box stitch. Having a very thick mattress will never be an issue since Bamboo Mattress Pad fits mattresses up to 18-inch thick. Finally, to keep you cool and comfy, its premium materials help regulate your body’s temperature. Paying a lucrative price will be worth it with its 100 satisfaction guarantee. If you haven’t selected your pick from the previous options, this product could be the one for you. The Mattress Pad Cover Twin Size Pillow Top 300TC Down Alternative Mattress Topper with 8-21-Inch Deep Pocket is another quality product that will help you bring your sleeping experience to a whole new level. 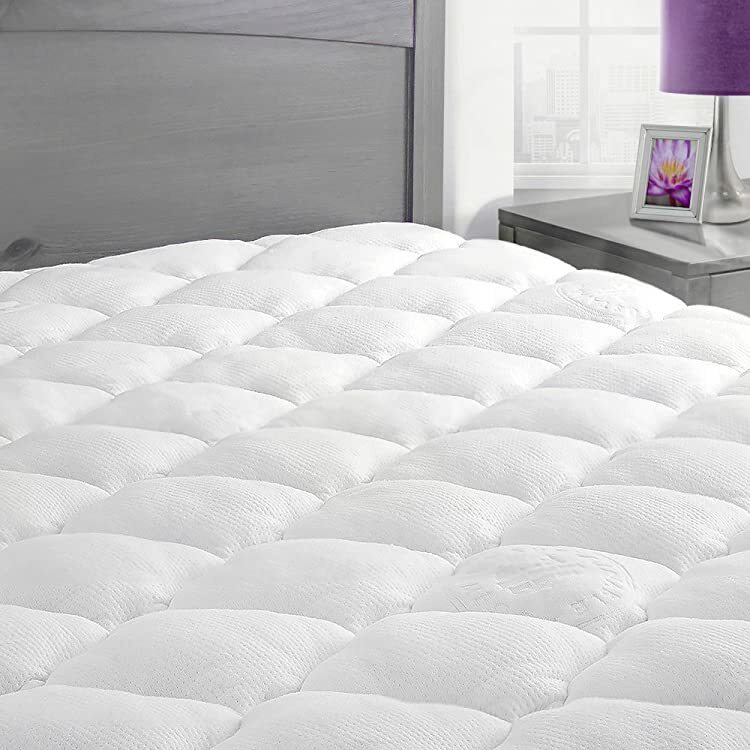 When it comes to comfort and breathability, this cooling mattress pad from Balichun is a reliable one. It uses materials that reduce the proliferation of molds and mildew while providing you with unbeatable support and comfort. Similar to other premium products, it also uses 300TC 100% cotton top with a generous 30 oz Storm Goose Down Alternative filling. Hence, it is even thicker than its competition. Worried about the stressful washing of mattress pads? Not on this one. This product is machine washable and dryer-friendly. With tolerance for up to 18-inch mattresses, the chance of this topper slipping out of your bed is next to impossible. There is a wide variety of cooling mattress pad materials that you may choose from. Depending on your needs, you may select from cotton, wool, latex and many more. Most users prefer cotton due to its texture and softness. In addition, you can wash it more easily compared to other materials. On the other hand, if you want a more durable material, you may want to settle with latex or wool. Aside from longevity, they are also resistant to dust and mold making them ideal for moist environment. According to a study from the US National Library of Medicine National Health Institute, latex mattress pads may also help distribute pressure evenly all throughout your body during sleeping. When it comes to the cooling mechanism, wool will give you the best results. It can absorb temperature keeping you cool and comfy. 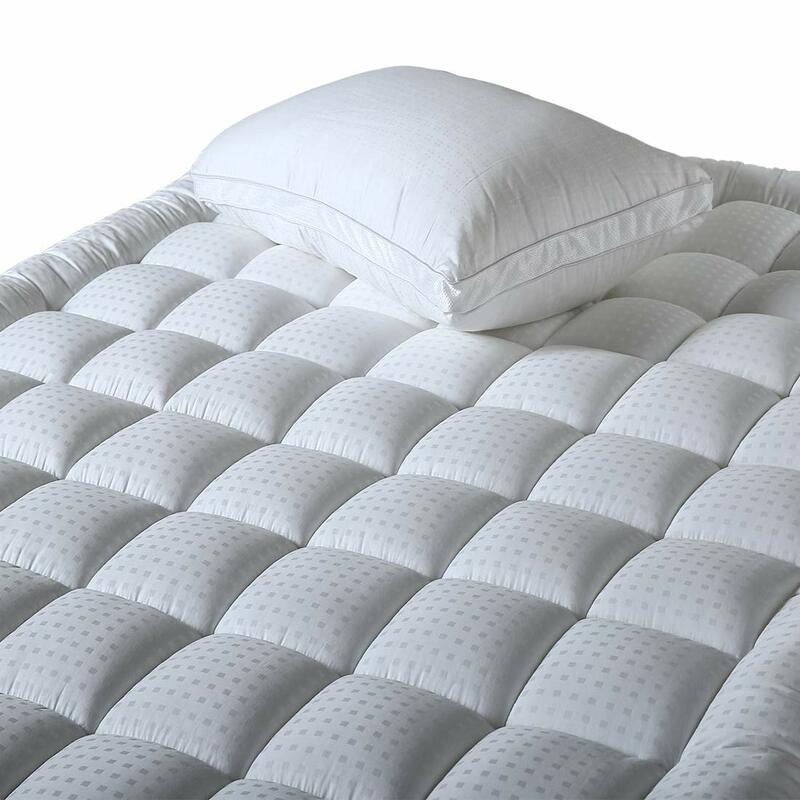 Hypoallergenic materials are usually the benchmark for most cooling mattress pads. Another essential aspect to consider in buying a cooling mattress topper is its thickness. Mattress pads aides your mattress in providing support and comfort that you need. Hence, selecting the right depth of mattress pad is as important as choosing your bed. Mattress pad should not be too thick or else it would be very firm and will negate the features of your bed. In the same manner, it must not be thin enough to provide ample support when necessary. Can you imagine a mattress pad that is too big or too small for your bed? That would have been very awkward and could cause discomfort, right? Before jumping into tons of options online, be sure to know the exact dimensions of your mattress. Though they usually come in standard sizes, it is best to be sure rather than regret buying the wrong one. As much as possible, try buying a cooling mattress with a brand similar to your bedding. This will minimize confusion with size as they are based on the same standard measurement. The manner as to how the cooling mattress pad was constructed plays a huge factor in its quality. Most products are quilted in diamonds to keep the filling in place. On the other hand, some may use double stitches and other stitching styles to ensure that threads stay in place regardless of washing frequency. With lots of options out there, it pays to ensure that the product you’re buying was built to last longer than what you expected. This might not be a priority for you but could be to some people. Waterproof cooling mattress pad does not necessarily mean that it doesn’t get wet. It only means that the materials used in the construction of the product have tolerance to a certain amount of liquids. Most people who would want a waterproof mattress pad are those with infants, or even adults, that could wet the bed. We all know that mattress pads are hard to wash and dry. Hence, for most people, they would like to refer a product that requires less care and maintenance. Usually, these are products with stain resistant properties and dries more quickly. In addition, frequent washing could make the stitches lose early. Hence, you need to ensure that you only wash your mattress when necessary. Of the choices above, I consider the Pillow Top Mattress Pad with Fitted Skirt – Extra Plush Topper from Exceptional Sheets as the ultimate winner. Aside from having the perfect fusion of quality and economy, it also offers a wide array of features that will convince you to use it. I have been personally using this product, and I can attest as to how comfortable it is. For one, I did not have any issues with its size as it fits my mattress perfectly. As a very active sleeper, I was amazed how this pad stayed in place whole night long. The way it was constructed, and its materials just seal off the deal. They are extra comfortable and durable at the same time that I might not need a new cooling mattress pad anytime soon. It is very soft and breathable that temperature will never be an issue. It helps dissipate the heat between your body and the mattress to keep your night cool and sweat-free. Finally, only minimal care is needed for this one of a kind product. Simply follow the washing instructions that come with it. Built to last for a long time, this product gives you no reason to look any further. Hence, I highly recommend you to get your own Pillow Top Mattress Pad and have your best sleep ever. Gel Foam Vs Memory Foam: Which Is The Best? 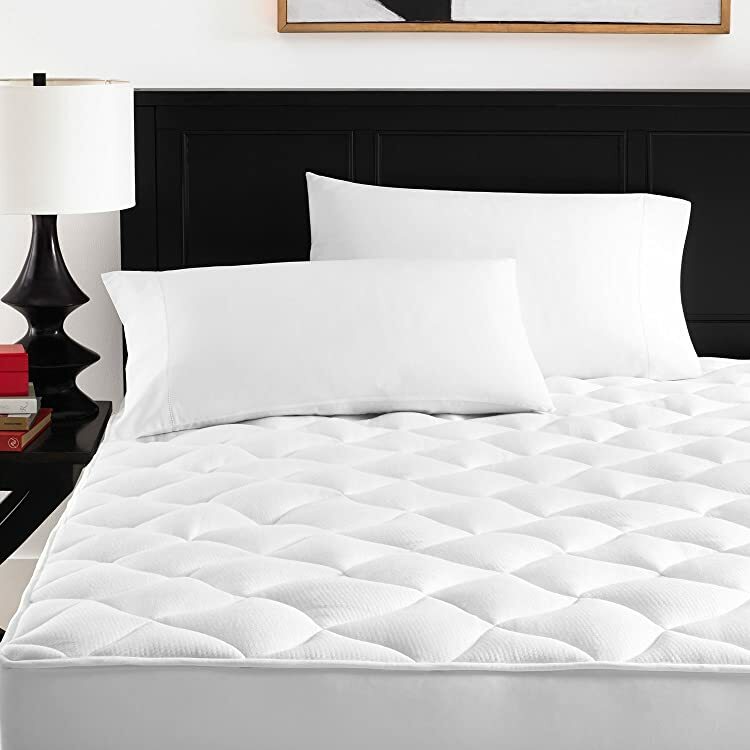 Bedroom Secrets: What Is A Latex Mattress? How To Deal With Memory Foam Off-Gassing? What Density Of Foam Should You Look For?